Home » Travel » Hello world! Hello there, I am Ankur. 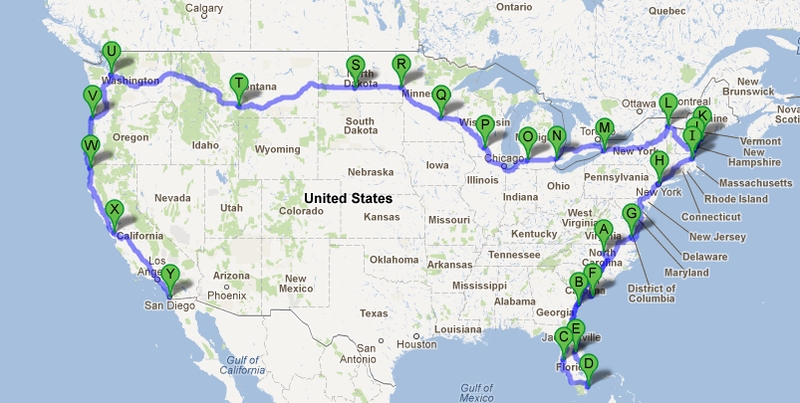 I am planning to do a really long post-graduation, crosscountry roadtrip from East Coast to California. It is a 30 day long trip touching the four corners of the country… and is probably the craziest thing I have ever done. I am planning to blog about this trip. I needed a domain to post all of my findings too. Questions popped up like which blogging platform should I use, when should I post and most important: from where. This website is the result of all that. 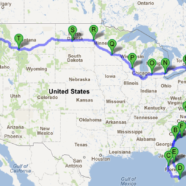 The plan is to go to Key West (Florida) first, then drive up north to Maine, then all the way to the west to Seattle, and finally down south to San Diego – where it all began. I call this the Four Corners roadtrip. Looks like an amazing itinerary! Let us know when you get to San Diego. We’ll have to celebrate you crossing the finish line, or perhaps go one step further down to TJ to reunite you with your favorite guitarist pan-handler. Yes, I’m definitely going to meet you guys. Will send out an email shortly to all the San Diego buddies. I would love to go to TJ. But unfortunately, cant leave the country due to visa issues. haha.. Next time for sure. I miss the “canary” like voice of that guitarist dude. This is simply amazing. Will read your blog posts in detail, and enjoy your ride of a lifetime alongside!